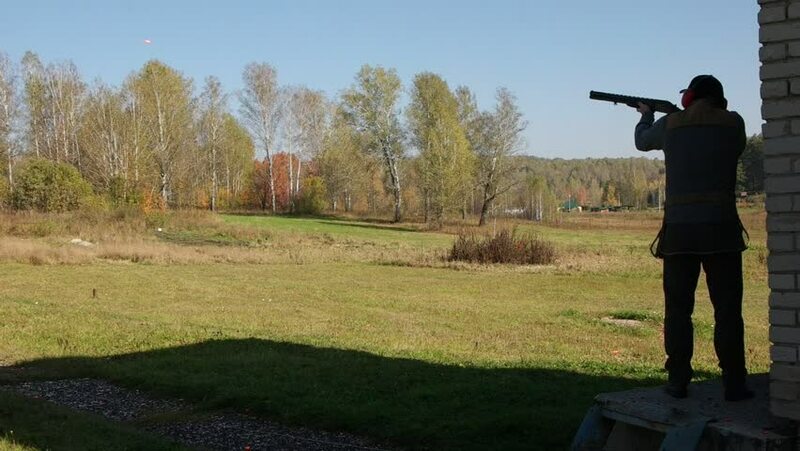 Hunter shoots double plate target. Slow motion. hd00:14two brothers play badminton on the green grass in the Park on a summer evening.